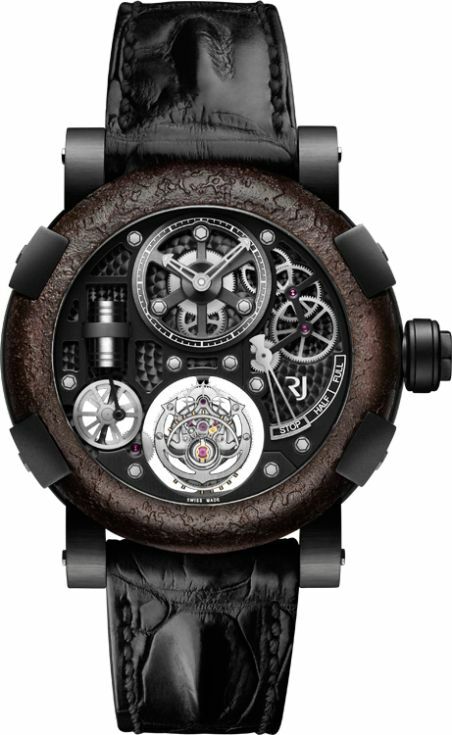 Home / Luxury Properties / Welcome to the Amazing World of Romain Jerome Designer Watches! 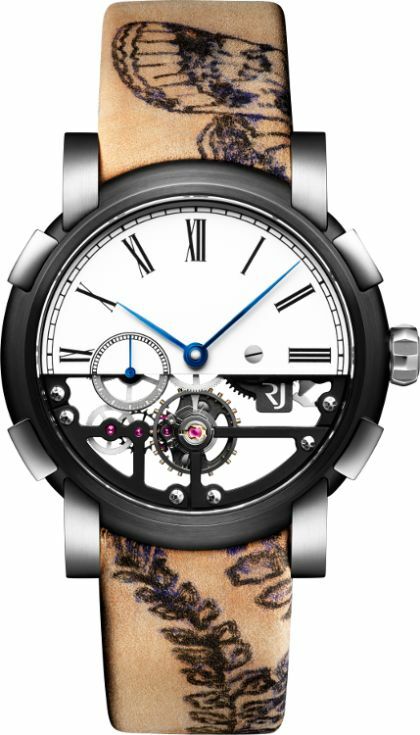 What is the first thing that comes to mind when you hear about Romain Jerome designer watches? Are they the weirdest luxury watches you have ever seen? Well, that’s true. However, along with that, they are also some of the best high-end watches in the world, though with a seriously playful design. Whether you like them or not, Romain Jerome watches are indeed unique. Moreover, combining sophisticated mechanics with intriguing look, all of them come in limited editions, so it is no wonder that they are in high demand among collectors. After all, Romain Jerome is all about prestige, premium quality, and recognizable name. Inspired by the conquest of space, the Romain Jerome Moon Dust Red Moon Chrono pays tribute to the Moon and human achievements. It comes in a red gold and carbon fiber case designed with fragments of Apollo 11. However, the most interesting thing about this fantastic luxury watch is its hand-sculpted dial containing precious Moon Dust, which additionally looks like the lunar surface. 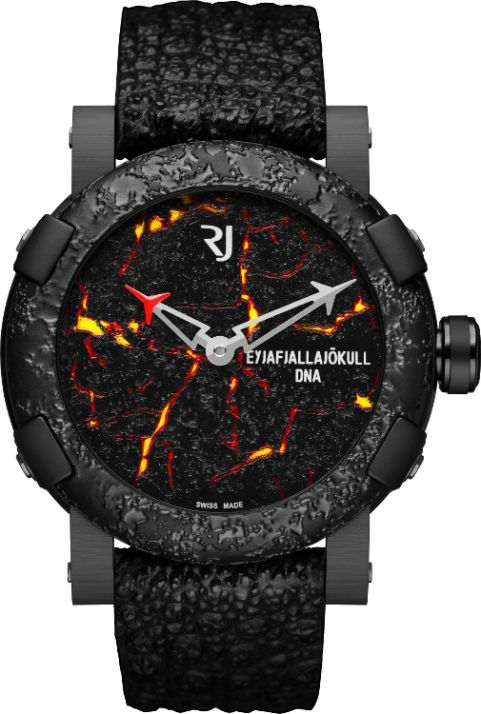 A truly hot piece of Romain Jerome designer watches, the Eyjafjallajökull-DNA Burnt Lava is another limited edition in the company’s collection. Enclosed in a black-PVD coated stainless steel case with a striking structured bezel, this model features an eye-catching dial made of genuine lava rock “cracked” under the hand-painted lava in yellow and red cold enamel. Plus, it is powered by a precise Swiss-made automatic mechanical movement. Inspired by the engines and machines from the early 20th century, the Steampunk Tourbillon Titanic is one of the most sophisticated high-end luxury watches from the iconic Titanic-DNA series. First of all, this model comes in a black-PVD case with a unique bezel made of rusted and stabilized steel that was once part of the legendary Titanic. Secondly, it features an anchor-shaped mechanical flying tourbillon movement providing a 48-hour power reserve. Created in collaboration with MARVEL, the RJ X Spider-Man is one of the newest designer watches by Romain Jerome. 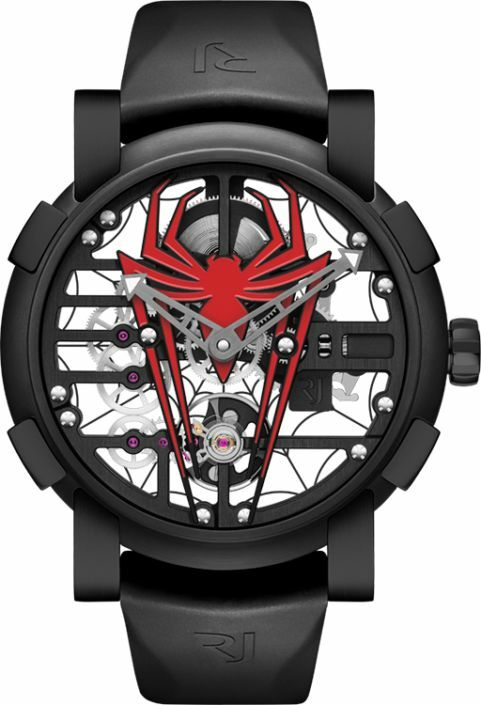 Enclosed in a black Skylab case, it is distinguished by a recognizable Spider-Man logo applique filled with red lacquer and a spider web on the sapphire glass. Besides, this limited edition luxury watch is driven by a modern 3-layer movement with chamfered angles and straight bridges, all visible through the skeleton dial. While the Romain Jerome Tattoo-DNA by Xoil is not the first example of designer watches inspired by tattoo art, it is definitely one of the most impressive. The fact is that the straps for this model were hand-tattooed by Xoil, using the artist’s own exclusive design, which makes each of 25 pieces in this limited edition unique. Moreover, this luxury watch features a very beautiful dial, the upper part of which is in Grand Feu enamel. 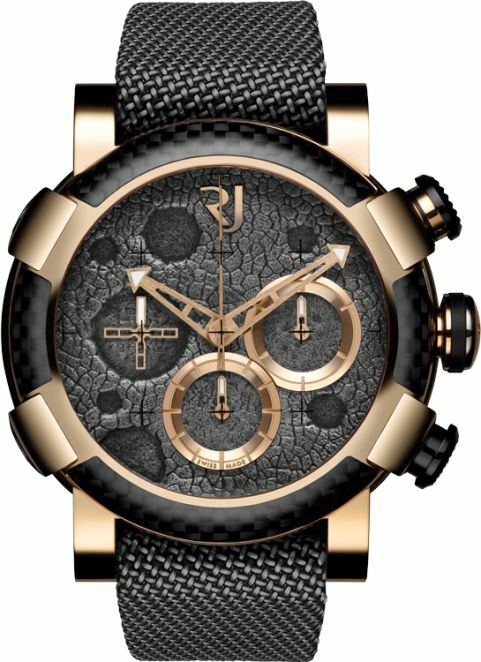 Needless to say that Romain Jerome is always a surprise. However, its designer watches are some of the most interesting and high-quality on the market, making this brand a true master of contemporary watchmaking.